In the winter months of Grand Rapids, Minnesota, you are likely to know how imperative it is to have a properly working heating system. Driving without heat during the winter can be dangerous. Without a properly working heating system, your defroster will not allow for proper windshield visibility. Why should you and your passengers suffer when it’s cold? Let the team at Jack’s Auto Service expertly repair your vehicle’s heating and cooling system. At our auto repair facility, we treat each and every customer with the utmost respect. We understand that sometimes auto repair does not fall into everyone’s comfort zone. It is our job to break things down for you. 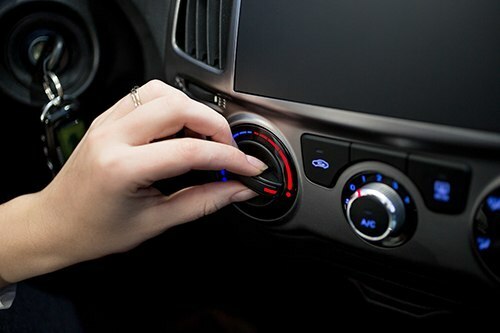 Not sure about what is going on with your car’s heating and cooling system? We will make sure to communicate with you about what the problem is and how we plan on fixing it. Our customers will be clearly informed about what is going on with their heating system repair process. If your personal automobile or fleet is in need of heating system maintenance or repair, we invite you to Jack’s Auto Service. Conveniently located in Grand Rapids, you can trust our friendly and experienced staff to get your car, truck, minivan or SUV driving its best!